Ranney, T.G., N.L. Bassuk, and T.H. Whitlow. 1989. Effect of transplanting practices on growth and water relations of ‘Colt’ cherry trees during reestablishment. J. Environ. Hort. 7:41-45. Ranney, T.G., T.H. Whitlow, and N.L. Bassuk. 1990. Response of five temperate deciduous tree species to water stress. Tree Physiol. 6:439-448. Ranney, T.G., N.L. Bassuk, and T.H. Whitlow. 1991. Influence of rootstock, scion, and water deficits on growth of ‘Colt’ and ‘Meteor’ cherry trees. HortScience 26:1204-1207. Ranney, T.G., N.L. Bassuk, and T.H. Whitlow. 1991. Osmotic adjustment and solute constituents in leaves and roots of water-stressed cherry trees. J. Amer. Soc. Hort. Sci. 116:684-688. Ranney, T.G., N.L. Bassuk, and T.H. Whitlow. 1991. Turgor maintenance in leaves and roots of ‘Colt’ cherry trees in response to water stress. J. Hort. Sci. 66:381-378. Ranney, T.G., R.E. Bir, and W.A. Skroch. 1991. Comparative drought resistance among six species of birch (Betula): Influence of mild water stress on water relations and leaf gas exchange. Tree Physiol. 8:351-360. Ranney, T.G. and J. Walgenbach. 1992. Feeding preference of Japanese beetles for taxa of birch, cherry and crabapple. J. Environ. Hort. 10:177-180. Ranney, T.G. and D. Davidson. 1992. Analysis of pressure-volume data using segmented, nonlinear regression algorithms. HortScience 27:275. Whitlow, T.H., N.L. Bassuk, T.G. Ranney, and D.L. Reichert. 1992. An improved method for using electrolyte leakage to assess membrane competence in plant tissue. Plant Physiol. 98:198-205. Ranney, T.G. and M.M. Peet. 1994. Heat tolerance of five species of birch (Betula): Physiological responses to supraoptimal leaf temperatures. J. Amer. Soc. Hort. Sci. 119:243-248. Ranney, T.G. and R.E. Bir. 1994. Comparative flood tolerance of birch rootstocks. J. Amer. Soc. Hort. Sci. 119:43-48. Rowe, D.B., S.L. Warren, F.A. Blazich, and T.G. Ranney. 1994. Seed germination of three provenances of Rhododendron catawbiense: Influence of light and temperature. J. Environ. Hort. 12:155-158. Ranney, T.G. 1994. Differential tolerance of eleven Prunus taxa to root zone flooding. J. Environ. Hort. 12:138-141. Ranney, T.G. and R.E. Bir. 1994. Use of paclobutrazol to regulate shoot growth and flower development of ‘Roseum Elegans’ rhododendron. J. Environ. Hort. 12:174-178. Ranney, T.G., F.A. Blazich, and S.L. Warren. 1995. Heat tolerance of selected species and populations of rhododendron. J. Amer. Soc. Hort. Sci. 119:243-248. Ranney, T.G., L.F. Grand, and J.L. Knighten. 1995. Susceptibility of Cornus kousa cultivars and hybrids to dogwood anthracnose and powdery mildew. J. Arboric. 21:11-16. Ranney, T.G. and E.P. Whitman, II. 1995. Growth and survival of ‘Whitespire’ birch grafted on rootstocks of five species of birch. HortScience. 30:521-522. McGuigan, P.J., F.A. Blazich, and T.G. Ranney. 1996. Propagating Quercus phillyreoides by stem cutting. J. Environ. Hort. 14:77-81. Curtis, D.L., T.G. Ranney, F.A. Blazich, and E. P. Whitman II. 1996. Rooting and subsequent overwinter survival of stem cuttings of Stewartia ovata. J. Environ. Hort. 14:163-166. McGuigan, P.J., F.A. Blazich, and T.G. Ranney. 1997. Micropropagation of Stewartia pseudocamellia.J. Environ. Hort. 15:65-68. Ranney, T.G. and J.M. Ruter. 1997. Foliar heat tolerance of three holly species (Ilex spp. ): Responses of chlorophyll fluorescence and leaf gas exchange to supraoptimal leaf temperatures. J. Amer. Soc. Hort. Sci. 122:499-503. Ranney, T.G. 1997. Going to extremes: Testing hollies for tolerance to environmental stresses. Holly Soc. J. 15(1):5-11. Fulcher, A.F., T.G. Ranney, J.D. Burton, J.F. Walgenbach, and D.A. Danehower. 1998. Role of foliar phenolics in host plant resistance of Malus taxa to adult Japanese beetles. HortScience 33:862-865. Benson, D.M., T.G. Ranney, and K.C. Parker. 1998. Evaluation of Photinia spp. for resistance to entomosporium leaf spot, 1996, 1997. Bio. Cultural Tests 13:68. Griffin, J.J., F.A. Blazich, and T.G. Ranney. 1998. Propagation of Thuja x ‘Green Giant’ by stem cuttings: Effects of growth stage, type of cuttting, and IBA treatment. J. Enivron. Hort. 16(4):212-214. Griffin, J.J., S.L. Warren, F.A. Blazich, and T.G. Ranney. 1999. Nitrogen nutrition of containerized Thuja x ‘Green Giant’. J. Environ. Hort. 17(2):76-79. Jull, L.G., T.G. Ranney, and F.A. Blazich. 1999. Heat tolerance of selected provenances of Atlantic white cedar. J. Amer. Soc. Hort. Sci. 124:492-497. Griffin, J.J., F.A. Blazich, and T.G. Ranney. 1999. Shading and IBA treatment does not improve rooting of stem cuttings of Quercus phillyraeoides ‘Emerald Sentinel’. J. Environ. Hort. 17(3):123-125. Witt, J.D., S.L. Warren, T.G. Ranney, and J.R. Baker. 1999. Biorational and conventional plant protectants reduce feeding by adult Japanese beetles. J. Environ. Hort. 17(4):203-206. Dunwell, W.C., D. Fare, M.A. Arnold, K. Tilt, G. Knox, W. Witte, P. Knight, M. Pooler, W. Klingeman, A. Niemiera, J. Ruter, T. Yeager, T. Ranney, R. Beeson, J. Lindstrom, E. Bush, A. Owings, and M. Schnelle. 2001. Plant evaluation program for nursery crops and landscape systems by the Southern Extension and Research Activities/Information Exchange Group-27. HortTechnology 11(3):373-375. Holland, B.T., S.L. Warren, and T.G. Ranney. 2003. Evaluating recovery of Cupressaceae taxa after flooding at contrasting temperatures. J. Environ. Hort. 21(1):51-55. Ranney, T.G., T.A. Eaker, P.R. Fantz, and C.R. Parks. 2003. xSchimlinia floribunda (Theaceae): A new intergeneric hybrid between Franklinia alatamaha and Schima argentea. HortScience 38(6):1198-1200. Griffin, J.J., T.G. Ranney, and D.M. Pharr. 2004. Heat and drought influence photosynthesis, water relations, and soluble carbohydrates of two ecotypes of redbud (Cercis canadensis). J. Amer. Soc. Hort. Sci. 129(4):497-502. Bell, A.C., T.G. Ranney, T.A. Eaker, and T.B. Sutton. 2005. Resistance to fire blight among flowering pears and quince. HortScience 40(2):413-415. Ranney, T.G. and P.R. Fantz. 2006. xGordlinia grandiflora (Theaceae): An intergeneric hybrid between Franklinia alatamaha and Gordonia lasianthus. HortScience 41(6):1386-1388. Ranney, T.G., N.P. Lynch, P.R. Fantz, and P. Cappiello. 2007. Clarifying taxonomy and nomenclature of Fothergilla (Hamamelidaceae) cultivars and hybrids. HortScience 42(3):470-473. (HortScience cover). Lasseigne, F.T., S.L. Warren, F.A. Blazich, and T.G. Ranney. 2007. Day/Night temperature influences growth and photosynthesis of cultivated Salvia taxa. J. Amer. Soc. Hort. Sci. 132(4):492-500. Zhou, W., T. Gibbons, L. Goetsch, B. Hall, T.G. Ranney, and R. Miller. 2008. Rhododendron colemanii: A new species of deciduous azalea (Rhododendron section Pentanthera; Ericaceae) from the Coastal Plain of Alabama and Georgia. J. Amer. Rhododendron Soc. 62(2):72-78. Jones, J.R. and T.G. Ranney. 2009. Fertility of neopolyploid Rhododendron and occurrence of unreduced gametes in triploid cultivars. J. Amer. Rhododendron Soc. 63(3): 131-135. Hebert, C.J., D.H. Touchell, T.G. Ranney, and A.V. LeBude. 2010. In vitro shoot regeneration and polyploidy induction of Rhododendron ‘Fragrantissimum Improved’. HortScience 45(4):801-804. Trueblood, C.E., T.G. Ranney, N.P. Lynch, J.C. Neal, and R.T. Olsen. 2010. 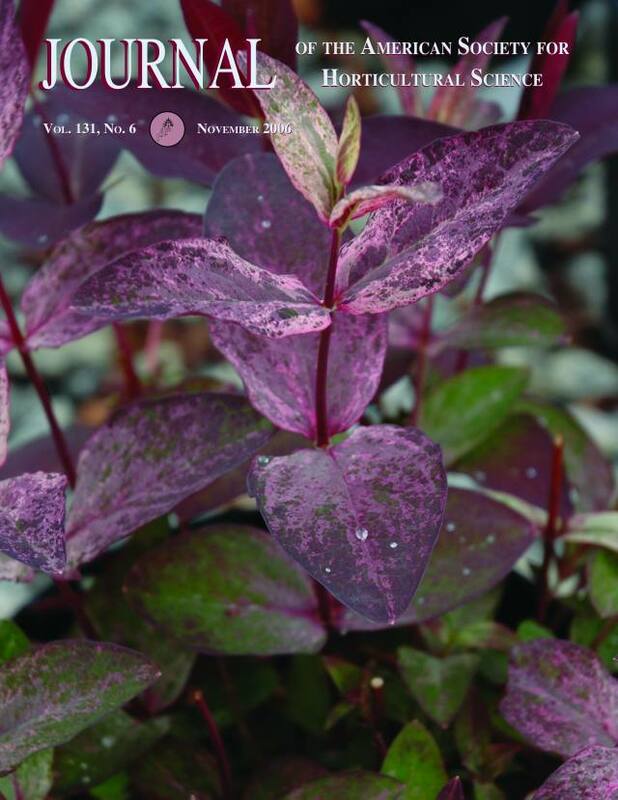 Evaluating fertility of triploid clones of Hypericum androsaemum L. for use as non-invasive landscape plants. Hortscience 45(7):1026-1028. Parris, J.K., T.G. Ranney, H.T. Knap, and W.V. Baird. 2010. Ploidy levels, relative genome sizes, and base pair composition in magnolia. J. Amer. Soc. Hort. Sci. 135(6):533-547. (JASHS cover). Panneerselvam, A., R.R. Sharma-Shivappa, P. Kolar, T. Ranney, and S. Peretti. 2013. Potential of ozonolysis as a pretreatment for energy grasses. Bioresource Technology. 148:242-248. Panneerselvam, A., R.R. Sharma-Shivappa, P. Kolar, D.A. Clare, and T. Ranney. 2013. Hydrolysis of ozone pretreated energy grasses for optimal fermentable sugar production. Bioresource Technology. 148:97-104. Lattier, J.D., T.G. Ranney, P.R. Fantz, T. Avent. 2014. Identification, Nomenclature, Genome Sizes, and Ploidy Levels of Liriope and Ophiopogon Taxa. HortScience 49(2):145-151. Lattier, J.D., D.H. Touchell, and T.G. Ranney. 2014. Micropropagation of an Interspecific Hybrid Dogwood (Cornus ‘NCCH1’). Propagation of Ornamental Plants 14(4):184-190. Haines, S., R. Gehl, J. Havlin, and T.G. Ranney. 2015. Nitrogen and phosphorus fertilizer effects on establishment of giant miscanthus. BioEnergy Res. 8:17-27. Zhen-Chen Qi, Yi Yu, Xiang Liu, Andrew Pais, Thomas Ranney, Ross Whetten, and Qiu-Yun (Jenny) Xiang. 2015. Phylogenomics of polyploid Fothergilla (Hamamelidaceae) by RAD-tag based GBS – insights into species origin and effects of software pipelines. J. Syst. Evol. 53(5):432-447. doi: 10.1111/jse.12176. Touchell, D.H., T.G. Ranney, D.R. Panthee, R.J. Gehl, and A. Krings. 2016. Genetic diversity, cytogenetics, and biomass yields among taxa of giant reeds (Arundo species). J. Amer. Soc. Hort. Sci. 141(3):256-263. Phillips, W.D., T.G. Ranney, D.H. Touchell, and T.A. Eaker. 2016. Fertility and Reproductive Pathways of Triploid Flowering Pears (Pyrus sp.). HortScience 51(8):968–971. Ranney, T.G., C.F. Ryan, L.E. Deans, N.P. Lynch. 2018. Cytogenetics and Genome Size Evolution in Illicium. HortScience 53(5):620-623. Ranney, T.G., T.H. Thomasson, K. Neill, N.P. Lynch, and M. Weathington. 2018. Ploidy, Relative Genome Size, and Inheritance of Spotted Foliage in Aucuba Species (Garryaceae). HortScience 53(9):1271–1274. C. Research Reports, Symposium Articles, etc. Ranney, T.G. 1988. Managing plant growth and water relations during transplanting. Proc. 6th Conf. Metropolitan Tree Improvement Alliance (METRIA). p. 108-118. Ranney, T.G. 1989. Evaluation and selection for drought resistance in selected woody plants. Proc. Southern Nursery Assoc. (SNA) Res. Conf., 34th Annu. Rpt. p. 266-274. Ranney, T.G., R.E. Bir, and W.A. Skroch. 1990. Evaluation and selection of drought resistant species of birch. Proc. SNA. Res. Conf., 35th Annu. Rpt. p. 304-307. Ranney, T.G., N.L. Bassuk, and T.H. Whitlow. 1990. Effects of transplanting practices on ‘Colt’ cherry. Amer. Nurseryman 171:79-82. Bir, R.E., J.L. Conner, and T.G. Ranney. 1991. The effect of nitrogen application techniques on the growth of drip irrigated flowering dogwood, oriental dogwood, red maple and mountain laurel. Proc. SNA Res. Conf., 36th Annu. Rpt. p. 148-151. Bir, R.E. and T.G. Ranney. 1991. The effect of organic soil amendments on the growth and development of Kalmia latifolia. Proc. Intl. Plant Prop. Soc. 41: 311-314. Bir, R.E. and T.G. Ranney. 1992. Suppression of basal sprouts on Betula nigra. Proc. SNA Res. Conf., 37th Annu. Rpt. Ranney, T.G. 1992. Evaluation of production techniques and profitability of growing ornamental birches in Western North Carolina. 1990-1991 Annu. Rpt. North Carolina Coop. Program 14. Ranney, T.G. 1992. Natural resistance of birch, cherry and crabapple to feeding by adult Japanese beetles. Proc. SNA Res. Conf., 37th Annu. Rpt. p. 172-177. Ranney, T.G. 1993. Flood tolerant Prunus. Proc. SNA Res. Conf., 38th Annu. Rpt. p. 383-385. Bir, R.E. and T.G. Ranney. 1993. The effect of paclobutrazol (Bonzi) on shoot elongation and flower bud set of container grown ‘Roseum Elegans’ rhododendron. Proc. SNA Res. Conf., 38th Annu. Rpt. p. 273-275. Thetford, M., S.L. Warren, F.A. Blazich, and T.G. Ranney. 1993. Effects of uniconazole on photosynthesis, dark respiration and water use efficiency of ‘Spectabilis’ forsythia. Proc. SNA Res. Conf., 38th Annu. Rpt. p. 27-29. Bir, R.E., T.G. Ranney, T.E. Bilderback, and G.D. Hoyt. 1993. Practical research at North Carolina State University. Proc. 1993 Alabama Nurserymen’s Assn. Summer Seminar. Bir, R.E. and T.G. Ranney. 1993. Chemical control of basal sprouts on river birch. Amer. Nurseryman 178(8):105-107. Curtis, D. and T.G. Ranney. 1993. Propagation and overwintering techniques of Stewartia ovata. 1991-1992 Annu. Rept. North Carolina Coop. Program 14. Ranney, T.G., L.F. Grand, and J.L. Knighten. 1994. Susceptibility of Cornus kousa cultivars and hybrids to anthracnose and powdery mildew. Proc. 8th Conf. Metropolitan Tree Improvement Alliance (METRIA). p. 21-27. Ranney, T.G. and J.F. Walgenbach. 1994. Natural resistance of birch, cherry, and crabapple taxa to feeding by adult Japanese beetles. Amer. Nurseryman 179(2):89-93. Rowe, D.B., F.A. Blazich, S.L. Warren, and T.G. Ranney. 1994. Seed germination of three provenances of Rhododendron catawbiense: Influence of light and temperature. Proc. SNA Res. Conf., 39th Annu. Rpt. p. 24-26. Whitman, E.P. and T.G. Ranney. 1994. Growth and survival of ‘Whitespire’ birch grafted on five species of birch rootstocks. Proc. SNA Res. Conf., 39th Annu. Rpt. p. 162-164. Ranney, T.G. and R.E. Bir. 1994. The North Carolina urban tree evaluation program. Proc. SNA Res. Conf., 39th Annu. Rpt. p. 347-348. Ranney, T.G., L.F. Grand, and J.L. Knighten. 1994. Resistance of Cornus kousa taxa to dogwood anthracnose and powdery mildew. Proc. SNA Res. Conf., 39th Annu. Rpt. p. 212-216. Bir, R.E., T.G. Ranney, R.K. Jones, and J.E. Shelton. 1995. No-spray rose trial. Proc. SNA Res. Conf., 40th Annu. Rpt. p. 320-322. McGuigan, P.J., F.A. Blazich, and T.G. Ranney. 1995. Propagation of Quercus phillyreoides by stem cuttings. Proc. SNA Res. Conf., 40th Annu. Rpt. p. 272-273. Patton, C.A., T.G. Ranney, J.D. Burton, and J. F. Walgenbach. 1995. Efficacy of naturally occurring feeding deterrents endogenous to rosaceous trees on Japanese beetle. Proc. SNA Res. Conf., 40th Annu. Rpt. p. 191-193. Ranney, T.G., E.P. Whitman, II, and R.E. Bir. 1995. Effects of copper hydroxide-treated containers and water-reservoir containers on root and shoot growth of four tree species. Proc. SNA Res. Conf., 40th Annu. Rpt. p. 122-124. Ranney, T.G., J.F. Walgenbach, J.D. Burton, E.P. Maness, and D.M. Pharr. 1995. Natural resistance to eastern tent caterpillar among rosaceous trees. Proc. SNA Res. Conf., 40th Annu. Rpt. p. 201-204. Ruth, C.D., T.G. Ranney, and E.P. Whitman, II. 1995. Flood tolerant hollies: Qualifiers for quagmires. Proc. SNA Res. Conf., 40th Annu. Rpt. p. 77-80. Fulcher, A.F., T.G. Ranney, J.D. Burton, J.F. Walgenbach, and E.P. Maness. 1996. Natural resistance to Japanese beetles among Malus taxa: Role of endogenous foliar phenolics. Proc. SNA Res. Conf., 41st Annu. Rpt. p. 57-60. Patton,C.A., T.G. Ranney, J.D. Burton, and J.F. Walgenbach. 1996. The role of cyanide in host plant resistance to Japanese beetle. Proc. SNA Res. Conf., 41st Annu. Rpt. p. 89-92. McGuigan, P.J., F.A. Blazich and T.G. Ranney. 1996. Micropropagation of Stewartia pseudocamellia. Proc. SNA Res. Conf., 41st Annu. Rpt. p. 228. Stubbs, H.L., F.A. Blazich, T.G. Ranney, and S.L. Warren. 1996. Propagation of ‘Carolina Sapphire’ smooth Arizona cypress by stem cuttings: Effects of growth stage, type of cutting and IBA treatment. Proc. SNA Res. Conf., 41st Annu. Rpt. p. 229. McGuigan, P.J., F.A. Blazich, and T.G. Ranney. 1996. Propagation of Quercus myrsinifolia and Quercus canbyi by stem cutting. Proc. SNA Res. Conf., 41st Annu. Rpt. p. 230-231. Stubbs, H.L., S.L. Warren, F.A. Blazich, T.G. Ranney, and H.H. Tyler. 1996. Nitrogen nutrition of containerized Cupressus arizonica var. glabra ‘Carolina Sapphire’. Proc. SNA Res. Conf., 41st Annu. Rpt. p. 116-117. Ranney, T.G. and E.P. Whitman, II. 1996. Efficacy of pyrethroid products, rates and formulations on control of adult Japanese beetle feeding. Proc. SNA Res. Conf., 41st Annu. Rpt. p. 151-153. Bir, R.E. and T.G. Ranney. Pest resistant landscape plants. 1996. Proc. Int. Plant. Prop. Soc. 46:602-604.
plants – Exploration, breeding, evaluation. p. 29-33. McGuigan, P.J., F.A. Blazich, and T.G. Ranney. 1997. Propagation of Quercus phillyreoides by stem cuttings. Amer. Nurseryman 185(8):72-73. Fulcher, A.F., T.G. Ranney, J.D. Burton, J.F. Walgenbach, and D.A. Danehower. 1997. The role of endogenous phenolics in host plant resistance among Malus taxa to Japanese beetles. Proc. SNA Res. Conf., 42nd Annu. Rpt. p. 68-70. Griffin, J.J., F.A. Blazich, and T.G. Ranney. 1997. Propagation of Thuja x ‘Green Giant’ by hardwood cuttings. Proc. SNA Res. Conf., 42nd Annu. Rpt. p. 297-298. Bir, R.E., T.G. Ranney, and J.L. Conner. 1997. Carryover affects of sumagic treatments on Kalmia latifolia cultivars. Proc. SNA Res. Conf., 42nd Annu. Rpt. p. 330-331. Patton, C.A., T.G. Ranney, J.D. Burton, and J.F. Walgenbach. 1997. Naturally occurring pesticides found in cherry trees. Nursery Notes 31(6):83. Ranney, T.G. 1998. Testing hollies for tolerance to flooding and high temperatures. Amer. Nurseryman 187(4):50-51. Patton, C.A., T.G. Ranney, J.D. Burton, and J.F. Walgenbach. 1998. Natural resistance of Prunus to adult Japanese beetles. Amer. Nurseryman 87(10):70-71. Griffin, J.J., F.A. Blazich, and T.G. Ranney. 1998. Propagation of Magnolia virginiana ‘Santa Rosa’ by semihardwood cuttings. Proc. SNA Res. Conf., 43rd Annu. Rpt. p. 340-343. Witt, J.D., T.G. Ranney, S.L. Warren, and J.R. Baker. 1998. Biorational plant protectants for controlling adult Japanese beetles. Proc. SNA Res. Conf., 43rd Annu. Rpt. p. 175-178. Lasseigne, F.T., S.L. Warren, F.A. Blazich, and T.G. Ranney. 1998. Heat tolerance in perennial salvias. Proc. SNA Res. Conf., 43rd Annu. Rpt. p. 442-445. Cote, K.D., S.L. Warren, and T.G. Ranney. 1998. Improving European beech adaptability for the Southeastern United States with stress-tolerant rootstocks. Proc. SNA Res. Conf., 43rd Annu. Rpt. p. 337-339. Fulcher, A.F., T.G. Ranney, J.D. Burton, J.F. Walgenbach, and D.A. Danehower. 1998. Natural resistance of Malus to adult Japanese beetles. Amer. Nurseryman 188(10):56-57. Fulcher, A.F., T.G. Ranney, J.D. Burton, J.F. Walgenbach, and D.A. Danehower. 1998. Role of foliar phenolics in host plant resistance of Malus taxa to adult Japanese beetles. Malus 12:10-19. McGuigan, P.J., F.A. Blazich, and T.G. Ranney. 1999. Propagation of Quercus myrsinifolia and Q. canbyi by stem cuttings. Amer. Nurseryman 189(2):90-91. Griffin, J.J., F.A. Blazich, T.G. Ranney, and S.L. Warren. 1999. The Big Green. Amer. Nurseryman 190(9):68-72. Griffin, J.J., S.L. Warren, F.A. Blazich. 1999. Nitrogen nutrition of containerized Thuja x’Green Giant’. Proc. SNA Res. Conf., 44rd Annu. Rpt. p. 464-467. Griffin, J.J. and T.G. Ranney. 2000. Effects of heat and drought on photosynthesis in redbuds. Proc. SNA Res. Conf., 45th Annu. Rpt. p. 451-454. Ranney, T.G. 2000. Polyploidy: From evolution to landscape plant improvement. Proc. 11th Conf. Metropolitan Tree Improvement Alliance. Bell, A.C., T.G. Ranney, T.A. Eaker, and T.B. Sutton. 2000. Controlled screening of flowering pears and crabapples for resistance to fire blight. Proc. 11th Conf. Metropolitan Tree Improvement Alliance. Bell, A.C., T.G. Ranney, T.A. Eaker, and T.B. Sutton. 2001. Searching for fire blight resistance in flowering pears (Pyrus spp.). Proc. SNA Res. Conf., 46th Annu. Rpt. p. 268-271. Lasseigne, F.T., S.L. Warren, F.A. Blazich, and T.G. Ranney. 2001. Heat and flooding stresses in Taxus and Cephalotaxus. Proc. SNA Res. Conf., 46th Annu. Rpt. p. 490-491. Holland, B.T., S.L. Warren, and T.G. Ranney. 2001. Improving adaptability of Cupressaceae with stress-tolerant rootstocks. Proc. SNA Res. Conf., 46th Annu. Rpt. p. 492-496. Holland, B.T., S.L. Warren, T.G. Ranney, and T.A. Eaker. 2001. Rootstock Selection and Graft Compatibility of Chamaecyparis Species. Combined Proceedings International Plant Propagators’ Society. 51:461-465. Griffin, J.J. and T.G. Ranney. 2001. Comparative light tolerance among taxa of Illicium. Proc. SNA Res. Conf., 46th Annu. Rpt. p. 525-527. Witt, J.D., T.G. Ranney, and S.L. Warren. 2001. Utilizing natural plant metabolites as feeding deterrents for adult Japanese beetles. Proc. SNA Res. Conf., 46th Annu. Rpt. p. 228-232. Bell, A.C., T.G. Ranney, and T.A. Eaker. 2002. Role of endogenous phenolics in resistance to fire blight. Proc. SNA. Res. Conf., 47th Annu. Rpt. p. 202-206. Griffin, J.J. and T.G. Ranney. 2002. Photosynthetic capacity of Illicium parviflorum and I. floridanum exposed to high irradiance. Proc. SNA Res. Conf., 47th Annu. Rpt. p. 429-432. Ranney, T.G., J.D. Allen, D.A. Allen, and M.O. Fountain. 2002. ‘Summer Cascade’ river birch. Proc. SNA Res. Conf., 47th Annu. Rpt. p. 624-626. Bell, A.C., T.G. Ranney, and T.A. Eaker. 2003. Levels of endogenous phenolics and their possible role in resistance to fire blight in Malus taxa. Proc. SNA Res. Conf., 48th Annu. Rpt. p. 221-225. Eaker, T.A., T.G. Ranney, R.T. Olsen, and J.A. Mowrey. 2003. Variation in ploidy level among flowering crabapples. Proc. SNA Res. Conf., 48th Annu. Rpt. p. 496-499. Adkins, J.A., D.J. Werner, and T.G. Ranney. 2003. Prospects for genetically modified ornamental plants. Proc. SNA Res. Conf., 48th Annu. Rpt. p. 502-504. Ranney, T.G. and T.A. Eaker. 2003. Introducing ‘Venus’ sweetshrub PPAF. Proc. SNA Res. Conf., 48th Annu. Rpt. p. 505-507. Olsen, R.T., T.G. Ranney, and T.A. Eaker. 2003. Reproductive behavior of diploid and allopolyploid xChitalpa tashketensis. Proc. SNA Res. Conf., 48th Annu. Rpt. p. 513-516. Ranney, T.G. 2003. Re-inventing sweetshrubs. Proc. Intern. Plant Propagators’ Soc. 53: 522-524. Ranney, T.G. and T.A. Eaker. 2003. A new intergeneric hybrid between Franklinia alatamaha and Schima argentea: xSchimlinia floribunda (Theaceae). Proc. Intern. Plant Propagators’ Soc. 53: 608-609. Eaker, T.A., T.G., Ranney, Z.J. Viloria, and J.A. Mowrey. 2004. Variation in ploidy level among birch taxa. Proc. SNA Res. Conf., 49th Annu. Rpt. p. 548-551. Contreras, R.N. and T.G. Ranney. 2004. New opportunities for breeding allopolyploid azaleodendrons. Proc. SNA Res. Conf., 49th Annu. Rpt. p. 552-554. Ranney, T.G., T.A. Eaker, N.P. Lynch, R.T. Olsen. 2004. Reproductive pathways among flowering crabapples. Proc. SNA Res. Conf., 49th Annu. Rpt. p. 575-579. Olsen, R.T. and T.G. Ranney. 2004. xChitalpa: The next generation. Proc. Intern. Plant Propagators’ Soc. 54: 578-582. Ranney, T.G. 2004. Population control: Developing non-invasive nursery crops. Proc. Intern. Plant Propagators’ Soc. 54: 604-607. Ranney, T.G., T.A. Eaker, J.A. Mowrey, and Nathan P. Lynch. 2004. Propagating Betula nigra Shiloh Splash PPAF river birch. Proc. Intern. Plant Propagators’ Soc. 54:651-653. R.N. Contreras, T.G. Ranney, S.P. Tallury, and S.R. Milla. 2005. Using molecular markers to investigate parentage of azaleodendron hybrids. Proc. SNA Res. Conf., 50th Annu. Rpt. 632-635. Olsen, R.T., T.G. Ranney, and D.J. Werner. 2005. Heritability of ornamental foliage characteristics in diploid, triploid, and tetraploid Hypericum androsaemum L. Proc. SNA Res. Conf., 50th Annu. Rpt. 648-650. Ranney, T.G., T.A. Eaker, J.A. Mowrey, and N.P. Lynch. 2005. Intergeneric hybrids between Gordonia lasianthus and Franklinia alatamaha. Proc. SNA Res. Conf., 50th Annu. Rpt.651-652. Ranney, T.G., T.A. Eaker, J.A. Mowrey, and N.P. Lynch. 2005. ‘Shiloh Splash’ river birch. Proc. SNA Res. Conf., 50th Annu. Rpt. 653-655. Ranney, T.G., D. Touchell, R. Olsen, T. Eaker, N. Lynch, and J. Mowrey. 2006. Progress in breeding non-invasive nursery crops. Proc. SNA Res. Conf., 51st Annu. Rpt. Touchell, D., Z. Viloria, T. Ranney, and K. Ivors. 2006. Intergeneric hybrids between Weigela and Diervilla (Caprifoliaceae). Proc. SNA Res. Conf., 51st Annu. Rpt. Ranney, T.G. 2006. Polyploidy: From evolution to new plant development. Proc. Intern. Plant Propagators’ Soc. 56: 604-607. Ranney, T.G., T.A. Eaker, and Joel A. Mowrey. 2007. Assessing fertility among cultivars of winged euonymus. Proc. SNA Res Conf., 52nd Annu. Rpt. 52: 352-354. Touchell, D., J. Smith, and T. Ranney. 2007. Inheritance of leaf variegations in Miscanthus. Proc. SNA Res Conf., 52nd Annu. Rpt. 52: 349-351. Palmer, I.E., T.G. Ranney, N.P. Lynch, and R.E. Bir. 2007. Exploring crossability among Rudbeckia L. species. Proc. SNA Res Conf., 52nd Annu. Rpt. 52: 355-358. Jones, J.R., T.G. Ranney, N.P. Lynch, and S.L. Krebs. 2007. Ploidy levels and genome sizes of diverse species, hybrids, and cultivars of rhododendron L. Proc. SNA Res Conf., 52nd Annu. Rpt. 52: 344-348. Ranney, T.G., N.P. Lynch, P.R. Fantz, and P. Cappiello. 2007. Clarifying taxonomy and nomenclature of Fothergilla (Hamamelidaceae) cultivars and hybrids. Proc. SNA Res Conf., 52nd Annu. Rpt. 52: 376-379. Ranney, T.G., D.H. Touchell, T.A. Eaker, N.P. Lynch, J.A. Mowrey, and J.C. Smith. 2007. Breeding non-invasive nursery crops. Proc. Southern Region Intern. Plant Propagators’ Soc. 57: 643-645. Jones, J.R., A.V. Lebude, T.G. Ranney, and J. Conner. 2007. Mound layering of Rhododendron flammeum (Michx.) Sargent (Oconee azalea). Proc. Eastern Region Intern. Plant Propagators’ Soc. 57: 429-431. Jones, J.R., T.G. Ranney, and T.A. Eaker. 2007. Inducing polyploidy in rhododendron seedlings. Proc. Southern Region Intern. Plant Propagators’ Soc. 57: 697-700. Touchell, D., J. Smith, and T.G. Ranney. 2008. Novel applications of plant tissue culture. Proc. Combined Inter. Plant Propagators’ Soc. 58: 196-199. Contreras, R.N. and T.G. Ranney. 2008. New opportunities for breeding fragrant rhododendrons. J. Amer. Rhododendron Soc. 62(4): 201-202. Bush, Ed., W. Dunwell, D. Ingram, A. Owings, G. Blythe, B. Klingaman, D. Fare, C. Pounders, A. Niemiera, J. Nowak, J. Robbins, J. Lindstrom, J. Ruter, G. Knox, M. Scheiber, A. LeBude, T. Ranney, M. Arnold, and T. West. 2008. A historical summary of plant material evaluations by SERA-IEG. Proc. SNA Res Conf., 53nd Annu. Rpt. 53: 156-158. Jones, J.R. and T.G. Ranney. 2008. Fertility of neopolyploid Rhododendron and occurrence of unreduced gametes in triploid cultivars. Proc. SNA Res Conf., 53nd Annu. Rpt. 53:174-177. Palmer, I.E., D.H. Touchell, and T.G. Ranney. 2008. In-vitro polyploid induction of Rudbeckia spp. Proc. SNA Res Conf., 53nd Annu. Rpt. 53:186-189. Meyer, E.M., A.V. LeBude, and T.G. Ranney. 2008. Propagation of Gordonieae trees by hardwood stem cuttings. Proc. SNA Res Conf., 53nd Annu. Rpt. 53:206-209. Jones, J.R., A.V. LeBude, and T.G. Ranney. 2008. Vegetative propagation of Oconee azalea (Rhododendron flammeum). Proc. SNA Res Conf., 53nd Annu. Rpt. 53:210-213. Touchell, D., J. Smith, and T.G. Ranney. 2008. Organogenesis from Hypericum frondosum leaves. Proc. SNA Res. Conf., 53nd Annu. Rpt. 53:222-225. Ranney, T.G. and J.R. Jones. 2008. Understanding polyploidy: Insights into the evolution and breeding of azaleas. The Azalean 30(4):81-84. LeBude, A.V. and T.G. Ranney. 2009. Evaluating landscape adaptability of hemlock species (Tsuga spp.) in Western North Carolina. Confer Quarterly 26(2):28-30. Parris, J.K., T.G. Ranney, W.V. Baird, and H.T. Knap. 2009. Ploidy levels and genome sizes of Magnolia L. species, hybrids, and cultivars. Proc. SNA Res. Conf., 54th Annu. Rpt. 54:374-378. Hebert, C.J., D. Touchell, T.G. Ranney, and A.V. LeBude. 2009. In vitro regeneration of Rhododendron ‘Fragrantissimum Improved’. Proc. SNA Res. Conf., 54th Annu. Rpt. 54:460-463. Meyer, E.M., D.H. Touchell, and T.G Ranney. 2009. In vitro shoot regeneration from leaves of Hypericum sp. Proc. SNA Res. Conf., 54th Annu. Rpt. 54:464-468. Parris, J.K., D.H. Touchell, and T.G. Ranney. 2010. Optimizing in vitro growth conditions for Magnolia ‘Ann’. Proc. SNA Res. Conf., 55th Annu. Rpt. 55:30-35. Rounsaville, T.J. and T.G. Ranney. 2010. Analysis of ploidy levels and genome sizes of Berberis L. and Mahonia Nutt. species, hybrids, and cultivars. SNA Res. Conf., 55th Annu. Rpt. 55:46-49. Conner, J.L., A.V. LeBude, T.G. Ranney, and J. Jones. 2010. Vegetative propagation of bottle brush buckeye (Aesculus parviflora) and Florida flame azalea (Rhododendron austrinum) by mound layering. SNA Res. Conf., 55th Annu. Rpt. 55:302-306. Ranney, T.G., D.H. Touchell, T. Eaker, J. Mowrey, N Lynch, and J. Smith. 2010. Progress developing non-invasive nursery crops. Proc. Combined Inter. Plant Propagators’ Soc. 60:422-423. Ranney, T.G. 2010. Breeding new plants for modern landscapes. Proc. Combined Inter. Plant Propagators’ Soc. 60:518-520. Lattier, J.D., D.H. Touchell, and T.G. Ranney. 2012. Micropropagation of Acer platanoides L. ‘Crimson Sentry’. SNA Res. Conf., 57th Annu. Rpt. 57:296-300. Palmer, I.E., T.G. Ranney, R. Gehl, D.H. Touchell, and N. George. 2012. 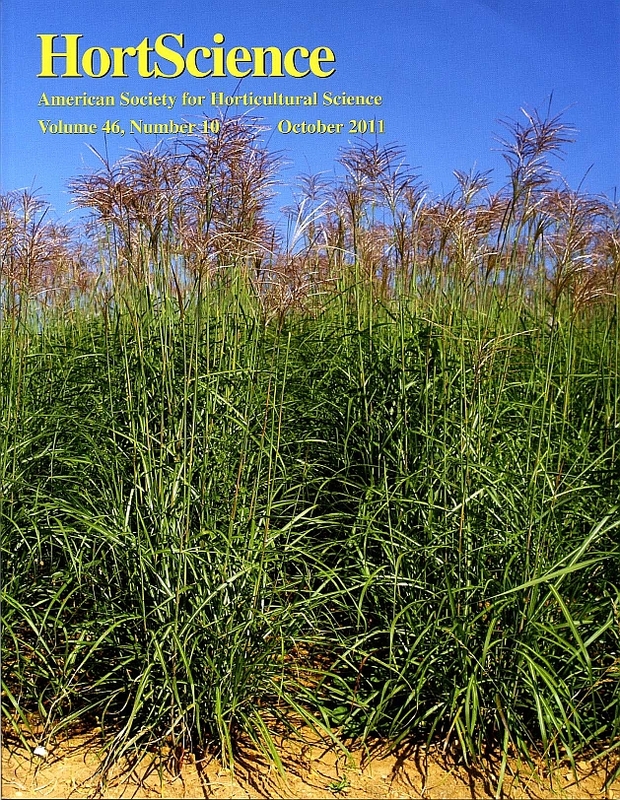 Biomass Yield and Nitrogen Response of Perennial Bioenergy Grasses in North Carolina. SNA Res. Conf., 57th Annu. Rpt. 57:268-272. Shearer, K. and T.G. Ranney. 2013. Cytometric and cytological analyses of cultivated dogwoods (Cornus spp.). SNA Res. Conf., 58th Annu. Rpt. 58:246-252. Beck, W.T. and T.G. Ranney. 2014. Ploidy levels and interploid hybridization in panicle hydrangea (Hydrangea paniculata). SNA Res. Conf., 59th Annu. Rpt. 59:296-300. Bir, R.E., T.E. Bilderback, and T.G. Ranney. 1993. Grafting and budding nursery crop plants. Cooperative Extension Service, NC State, Dept. Hort. Sci., N.C. Publication AG-396:1-18. Ranney, T.G., D.M. Benson, and M.A. Powell. 1993. Superior crabapple trees for the landscape. N.C. Cooperative Extension Service, NC State, Dept. Hort. Sci., Hort. Info. Leaflet 8613:1-2. Ranney, T.G., R.E. Bir, M.A. Powell, and J.C. Raulston. 1993. Urban trees for use under utility lines. N.C. Cooperative Extension Service, NC State, Dept. Hort. Sci., Leaflet 8616:1-2. Ranney, T.G., R.E. Bir, M.A. Powell, and T. Bilderback. 1994. Qualifiers for quagmires: Landscape plants for wet sites. N.C. Cooperative Extension Service, NC State, Dept. Hort. Sci., Hort. Info. Leaflet 8646:1-2. Ranney, T.G. and M.A. Powell. 1997. Recommended trees for urban landscapes: Proven performers for difficult sites. N.C. Cooperative Extension Service, NC State, Dept. Hort. Sci., Hort. Info. Leaflet 8617:1-6. Griffin, J.J. and T.G. Ranney. 2001. Interactive effects of drought and light stress on photosyntheis and chlorphyll fluroescence in Illicium x ‘Woodland Ruby’. HortScience 36:551. Utilizing natural plant metabolites as feeding deterrents for adult Japanese beetles. 2001. Witt, J.D., T.G. Ranney, and S.L. Warren. HortScience 36:553. Ranney, T., T. Eaker, P. Fantz, and C. Parks. 2003. xSchimlinia floribunda (Theaceae): A new intergeneric hybrid between Franklinia alatamaha and Schima argentea. HortScience 38(5): 668 (Abstract). Griffin, J., T. Ranney, and M. Pharr. 2003. Effects of heat and drought on photosynthesis, water relations, and soluble carbohydrates of two ecotypes of redbud (Cercis canadensis). HortScience 38(5): 812 (Abstract). Ranney, T.G. and T.A. Eaker. 2004. Variation in ploidy levels and reproductive pathways among flowering crabapples. HortScience 39(4):773 (Abstract). Olsen, R.T., T.G. Ranney, Z. Viloria. 2005. Ovule and embryo culture of xChitalpa tashkentensis hybrids. HortScience 40(4):1003 (Abstract). Touchell, D., Z. Viloria, and T. Ranney. 2006. Intergeneric hybrids between Weigela and Diervilla (Caprifoliaceae). HortScience 41(4):1008 (Abstract). Olsen, R.T. and T.G. Ranney. 2006. Polyploid breeding in Hypericum androsaemum L. HortScience 41(4):952 (Abstract). Olsen, R.T. and T.G. Ranney. 2006. Susceptibility of Catalpa, Chilopsis, and hybrids to powdery mildew and catalpa sphinx larvae. HortScience 41(4):1041 (Abstract). Englert, C.A., J.C. Neal, and T.G. Ranney. 2009. Development of an invasive assessment protocol for North Carolina nursery crops. Proc. Southern Weed Sci. Soc. 62:296. Sharma-Shivappa, R., A. Panneerselvam, P. Kolar, T. Ranney, and S. Peretti. 2010. Effect of ozonolysis on bioconversion of miscanthus to bioethanol. Annual International Meeting of the American Society for Agricultural and Biological Engineers. (in press). Haines, S.A., R.J. Gehl, T.G. Ranney, and J.L. Havlin. 2010. Response of Miscanthus xgiganteus to phosphorus and nitrogen fertilizer on low phosphorus soils in North Carolina. Soil Science Society of North Carolina 53rd Annual Meeting. Raleigh, NC. 29-20 January 2010. (poster). Panneerselvam, A., R. Sharma – Shivappa1, P. Kolar, T. Ranney, and S. Peretti. 2011. Ozonolysis – A novel pretreatment method to delignify energy canes. Soc. Ind. Microbiology, 33rd Symp. Biotechnol. for Fuels and Chemicals. Seattle, WA. 2-5 May, 2011. (Abstract). Ranney, T.G., R. Miller, R. Lewandowski, and J. Xiang. 2012. Discovery of a new diploid cytotype of Fothergilla. HortScience 47(9):S367. Touchell, D.H. and T.G. Ranney. 2012. Chromosome doubling and fertility restoration in Miscanthus ×giganteus. HortScience 47(9):S334. Lattier, J.D., D.H. Touchell, and T.G. Ranney. 2012. In vitro regeneration and polyploidy induction of Acer platanoides L. ‘Crimson Sentry’. HortScience 47(9):S17. Whitlow, T.H., N.L. Bassuk, D.A. Rakow, and T.G. Ranney. 1989. Choosing ornamental trees for dry urban sites. Grounds Maintenance. April: 20-25,129. Ranney, T.G. 1990. The ornamental birches: A descriptive key. Mountain Nursery Newsletter. Ranney, T.G. 1991. Superior crabapples for the landscape. Mountain Nursery Newsletter. Ranney, T.G. 1991. Arborist’s organizations and selected references. The Landscape Newsletter. Ranney, T.G. and M.A. Powell. 1992. Trees recommended for urban landscapes: Proven performers for difficult sites. American Nurseryman 176(12):142-152. Ranney, T.G. 1992. News you can use: Selected abstracts relating to landscape horticulture. E-Mail distribution to ornamentals news group. Ranney, T.G. 1993. Natural resistance of birch, cherry and crabapple taxa to feeding by adult Japanese beetles. Nursery Notes 27(2):7, 9-10. Bir, R.E. and T.G. Ranney. 1993. Feeding the soil. Just how effective are organic soil amendments? Amer. Nurseryman 177(10):69-80. Ranney, T.G. 1993. Natural resistance of birch, cherry, and crabapple taxa to feeding by adult Japanese beetle. Center for Development of Hardy Landscape Plants, Newsletter 4(1):4-7. Ranney, T.G., L.F. Grand, and J.L. Knighten. 1994. Susceptibility of cultivars and hybrids of kousa dogwood to dogwood anthracnose and powdery mildew. Nursery Notes 28(5):42-43. Ranney, T.G. 1994. Tolerance of eleven Prunus taxa to root zone flooding. Nursery Notes 28(5):44-45. Whitman, E.P., II and T.G. Ranney. 1994. Growth and survival of ‘Whitespire’ Japanese birch grafted on five species of birch rootstocks. Nursery Notes 28(5):55. Ranney, T.G. and F.A. Blazich. 1994. Rooting euscaphis: Preliminary data. Nursery Notes 28(5):62-63. Ranney, T.G., R.E. Bir, J.L. Conner, and E.P. Whitmann II. 1994. Use of paclobutrazol to regulate shoot growth and flower development of ‘Roseum Elegans’ rhododendron. Nursery Notes 28(5):67-73. Ranney, T.G. and R.E. Bir. 1995. North Carolina urban tree evaluation program. Landscape Plant News 6:9-10. Bir, R.E. and T.G. Ranney. 1996. Conditional guarantee. Amer. Nurseryman. 184(9): 36-39. Rowe, D.B., F. A. Blazich, S.L. Warren, and T.G. Ranney. 1996. Taking the heat: Research explores whether more heat-tolerant rhododendrons can be found in certain native populations of Rhododendron catawbiense. Amer. Nurseryman. 183(12):39-43. Bell, A.C., T.G. Ranney, T.A. Eaker, and T. B. Sutton. 2001. Evaluating fire blight resistance among flowering crabapples (Malus spp.) and Pears (Pyrus spp.). Landscape Plant News. 12(2):2-7. Ranney, T.G. 2004. A hybrid’s tale: A new intergeneric hybrid between Franklinia and Schima reunites ancient flora and enhances conservation efforts. Amer. Nurseryman 199(5):28-30. Upchurch, B. and T. Ranney. 2006. A future in dogwoods. Nursery Notes 10(4): 53-56. LeBude, A.V. and T.G. Ranney. 2008. Evaluating landscape adaptability of hemlock species (Tsuga spp.) in Western North Carolina. Nursery Notes 42(1):53-55. Englert, C., J. Neal, and Tom Ranney. 2008. What do invasive plants have to do with your nursery? Nursery Notes. 42(6): 44. LeBude, A.V., J. Jones, T.G. Ranney, B. Upchurch, and J. Conner. 2009. Setting new roots in an old tradition. Nursery Notes 43(5):26-28. Ranney, T.G., R.T. Olsen. 2009. Breaking the color barrier: The classic ‘Annabelle’ hydrangea now comes in pink. Nursery Notes 43(2):44-45. Ranney, T.G. 2010. Storm warning: Reinventing flowering quince. Nursery Notes 44(3):36-37. Ranney, T.G. 2010. A few new plants. Nursery Notes 44(6):13-17. Ranney, T.G. 1987. The relative influence of rootstock and scion on drought tolerance in cherries. MS Thesis, Cornell Univ., Ithaca, N.Y.
Ranney, T.G. 1989. Comparative physiology and drought tolerance in selected woody plants. PhD Dissertation, Cornell Univ., Ithaca, N.Y.
Curtis, D.L. 1995. Propagation and overwintering of mountain stewartia (Stewartia ovata). M.Ag., N.C. State Univ., Raleigh. McGuigan, P.J. 1995. Micropropagation of Stewartia pseudocamellia and propagation of selected species of Quercus by stem cuttings. MS Thesis, N.C. State Univ., Raleigh. Stubbs, H.L. 1996. Propagation by stem cuttings and nitrogen nutrition of containerized Cupressus arizonica var. glabra ‘Carolina Sapphire’. MS Thesis, N.C. State Univ., Raleigh. Ruth, C. 1996. Differential tolerance of holly taxa to flooding and poor drainage. M.Ag., N.C. State Univ., Raleigh. Fulcher, A.F. 1997. Host plant resistance among Malus taxa to Japanese beetle, European red mite, and two-spotted spider mite. MS Thesis, N.C. State Univ., Raleigh. Patton, C.A. 1997. Host plant resistance to Japanese beetles: Role of endogenous allelochemicals in plant defense. MS Thesis, N.C. State Univ., Raleigh. Witt, J.D. 1998. Biorational plant protectans for controlling adult Japanese beetles. MS Thesis, N.C. State Univ., Raleigh. Griffin, J.J. 2002. Interactive effects of environmental stresses on photosynthesis. Ph.D. Dissertation, N.C. State Univer., Raleigh. Bell, A.C. 2004. Host plant resistance to fire blight (Erwinia amylovora) in the Rosacea subfamily Maloideae. Ph.D. Dissertation, N.C. State Univ., Raleigh. Olsen, R.T. 2006. Utilizing polyploidy for developing improved nursery crops: restoring fertility in wide hybrids, limiting fertility of invasive species, embryo culture of triploids, pest resistance, and inheritance of ornamental traits. Ph.D. Dissertation, N.C. State Univ., Raleigh. Contreras, R.N. 2006. Azaleodendrons: investigating parentage, fertility, and effects of polyploidy among hybrids of deciduous azaleas and evergreen rhododendrons. MS Thesis, N.C. State Univ., Raleigh. Jones, J.R. 2008. Investigating prevalence, induction, and fertility of polyploid Rhododendron L. and the development of protocols for vegetative propagation. MS Thesis, N.C. State Univ., Raleigh. Meyer, E.M. 2009. Evaluation, Propagation, and Improvement of Gordoniea trees and an interspecific Hypericum hybrid. MS Thesis, N.C. State Univ., Raleigh. Trueblood, C.E. 2009. An invasive species assessment system for the North Carolina Horticulture Industry. MS Thesis, N.C. State Univ., Raleigh. Rounsaville, T.J. 2011. Cytogenetics, Micropropagation, and Reproductive Biology of Berberis, Mahonia, and Miscanthus. MS Thesis, N.C. State Univ., Raleigh. Oates, K.M. 2011. Genetic Improvement of Rudbeckia and Evaluation of a New Triploid Campsis Cultivar. MS Thesis, N.C. State Univ., Raleigh. Lattier, J.D. 2012. Cytogenetics, micropropagation, and polyploid induction of selected nursery crops. MS Thesis, N.C. State Univ., Raleigh. Palmer, I.E. 2013 Breeding and Evaluation of Perennial Grasses for Landscape and Bioenergy Applications MS Thesis, N.C. State Univ., Raleigh.